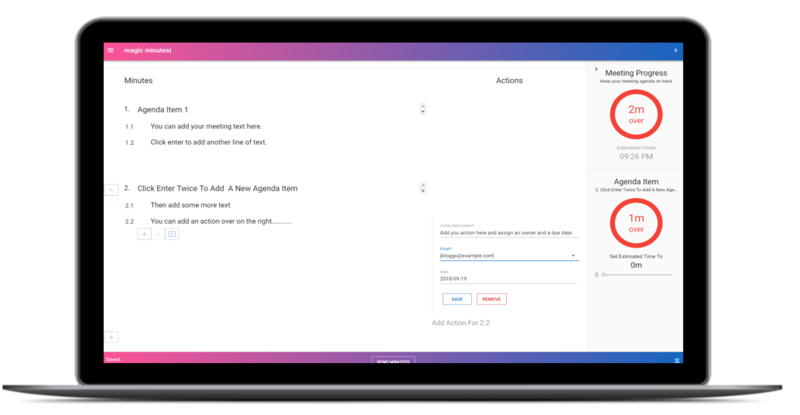 Get stuff done by recording and tracking actions effectively. 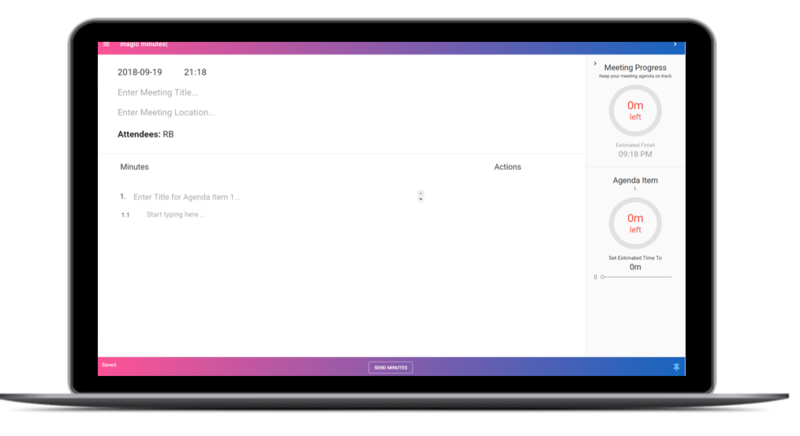 Magic Minutes’ minute-taker allows you to easily record actions in a meeting. 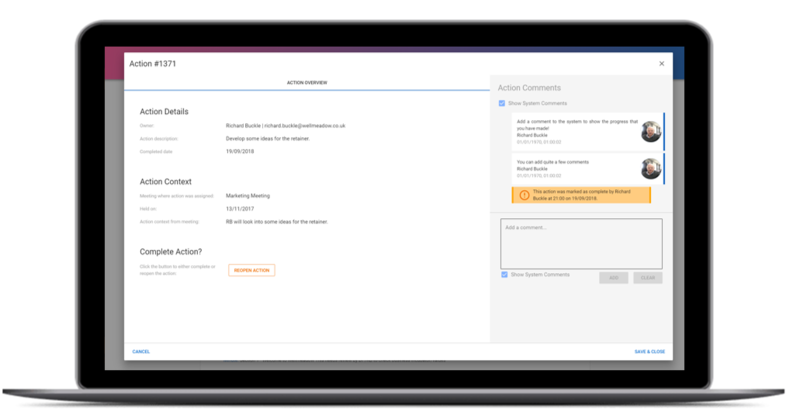 These can then be reviewed and commented on to ensure progress is made and you acheive your objectives. 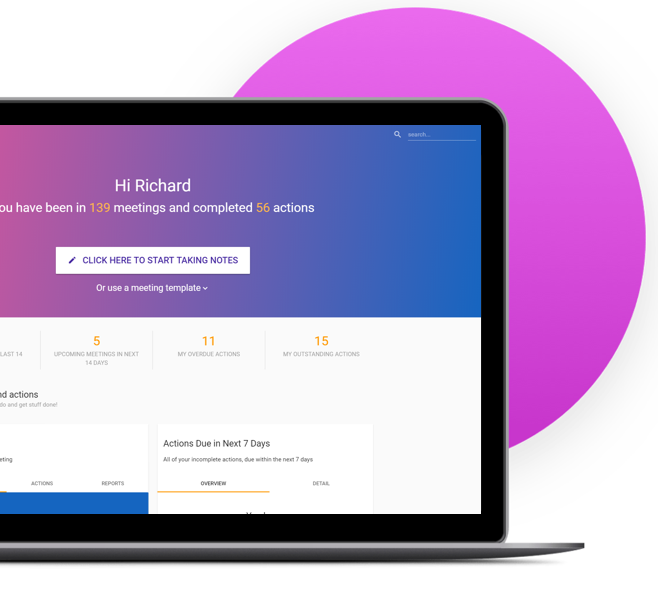 We have put together some easy “how-to” guides to help you get to grips with how Magic Minutes can help make your meetings better. 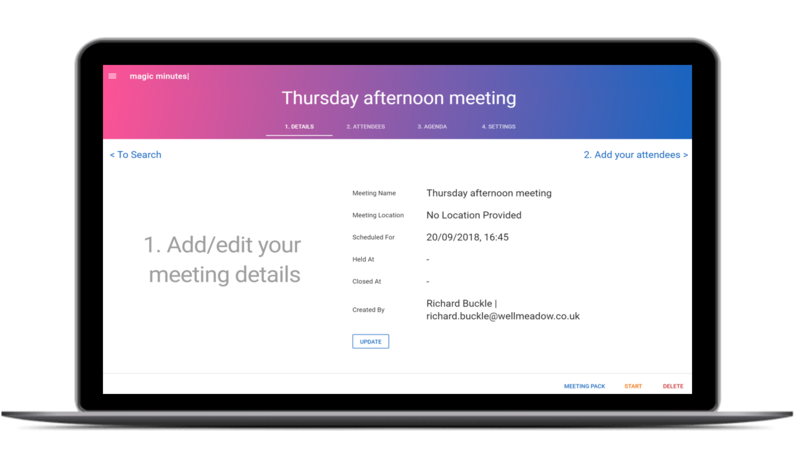 Set your date, time, meeting title, location and add your attendees then start typing the minutes. 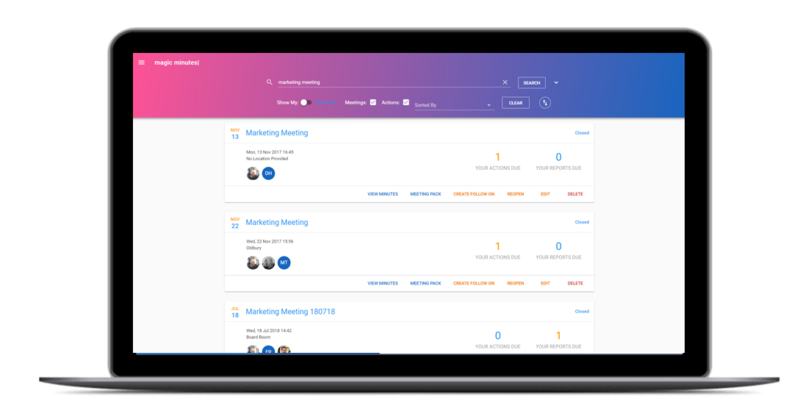 We believe that Magic Minutes can change the way you meet. 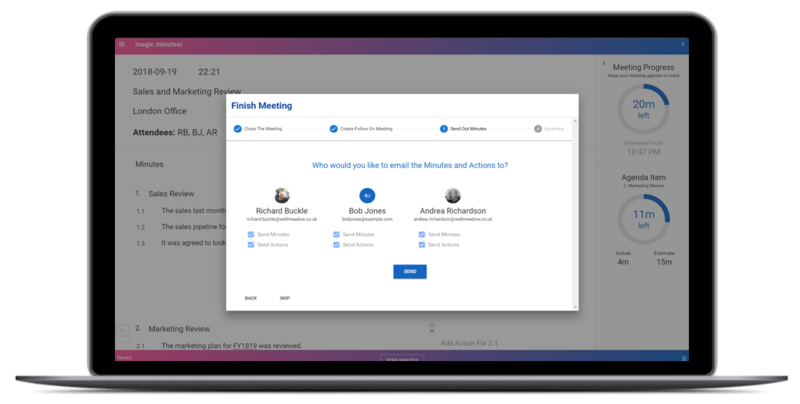 We offer a FREE version that allows you to use the full power of the minute-taker and meeting management dashboard for up to three meetings.